Welsh quintet SKINDRED will release their new album Volume October 30th on Napalm Records. 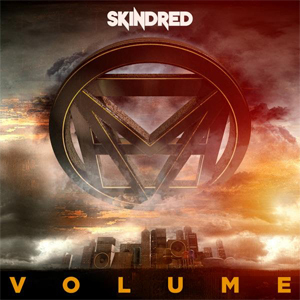 With a little less then three weeks left before the release the SKINDRED guys have unleashed their new video for the title track of Volume. Check out the premiere on KNAC.COM right HERE. Volume is available for pre-order now at the Napalm Records Webstore. A special deluxe edition including the brand new documentary Rude Boys For Life will be available exclusively at all Best Buy. Details on this edition will be available soon! A trailer for the DVD can be viewed below. The bands sixth studio album, entitled Volume, will be the band's first release on Napalm Records. The album was recorded at The Strongroom studio in East London and was produced by longtime collaborator James 'Lerock' Loughrey (previously worked with the likes of White Zombie, Depeche Mode, Manic Street Preachers). After a sold out Arena run with STEEL PANTHER, a remarkable Camden Rocks performance, two sold out Hit The Deck headline slots and a host of European festival shows (including Wacken, Rock Am Ring and Rock Im Park in Germany with FOO FIGHTERS and SLIPKNOT) already in 2015, SKINDRED announced a UK November headline tour with CROSSFAITH & HED PE as support. Look for North American dates to be announced in early 2016 soon!